...The revival of world destruction." 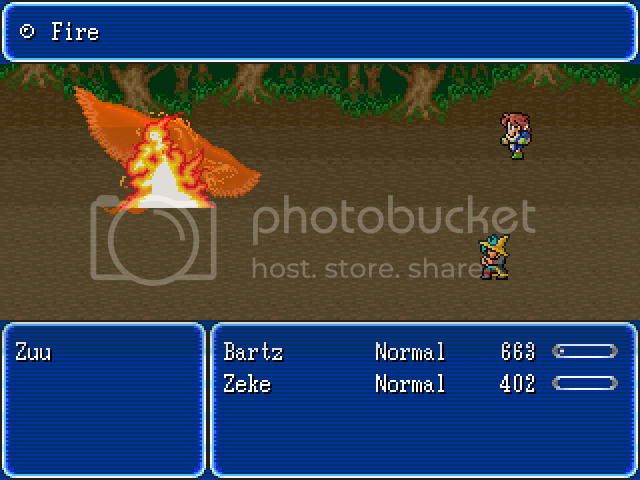 After the battle with Exdeath, Bartz, Lenna, Faris and Krile went their seperate ways. As the new ruler of "New" Typhoon and with Faris gone back to her crew as their pirate captian, she stays along in the castle, always remembering the past she once had with her friends. She wants to go find them...but how will she be reunited with her friends? Zeke is a Mage with the power to change the form his magic takes, being it White, Black, Blue or even Arcane magic. Zeke suddenly woke up from being unconscious for an unknown amount of time, due to this, he suffers from memory loss and cannot remember anything except for his name. After waking up, he finds himself awake in a forest, since he suffers from amnesia, this forest is a mystery to him. As Zeke wanders the forest, he finds a man in shining blue and white armor camping in the forest...could it be...? ...Almost two years later travelling across the world, he still has the same dream over and over again, intensifying every night. Due to the nightmare, his personality has changed, making him almost emotionally dead inside and silent. Even in this new state of mind, he still helps others when they are in need. Lenna is one of two daughters of the now deceased King Tycoon. After the great battle, she was crowned the Queen of Tycoon due to her sister stripping herself of her title. Lenna still remembers the time she had with her friends two years ago and still thinks about the times she had with them. Lenna still keeps in contact with Krile. Lenna's personality has stayed the same for the past two years; gentle yet couragous and always helps whenever she can, also showing her love to all of the people of the Tycoon Kingdom. The first daughter of King Tycoon and older sister to Lenna, but was lost at sea at a young age. When the battle of Exdeath was over, Faris went back to the Kingdom of Tycoon to live with her younger sister as one of the rulers of the Tycoon Kingdom, after a few months however, she had a change of heart, going back to her pirate ways with her old crew and boat Syldra (named after her deceased pet and friend), because of this, her title was taken away as royalty of Tycoon, which Faris clearly did not care about. Faris still has her very commanding nature due to being brought up by Pirates, but she does have a softer side to her, which is clearly seen when Lenna and Faris finally realise they are sisters. 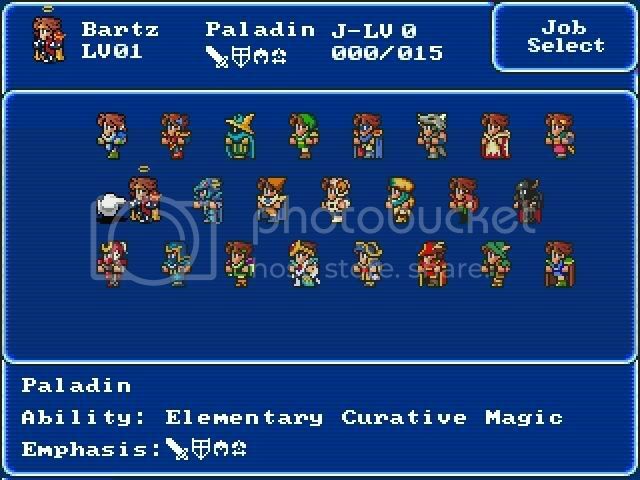 The Princess of Bal and replacement Warrior of Dawn after the death of her Grandfather; Galuf. 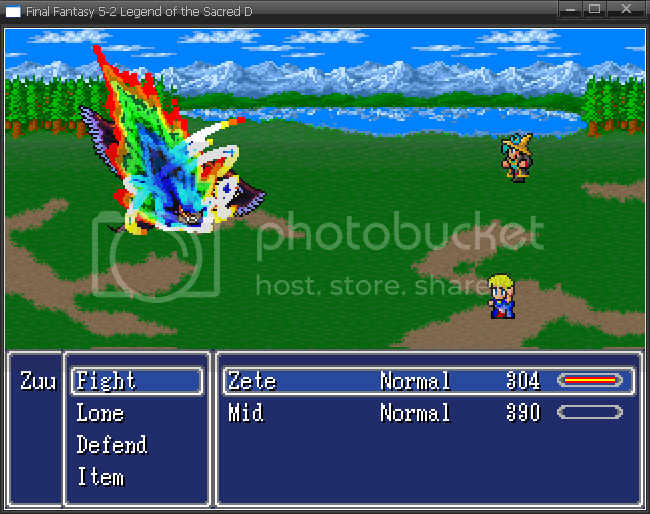 Krile joined the other Warriors of Dawn after the sad death of Galuf, who was the current Warrior of Earth. She aided the warriors several times before finally joining them and gaining the powers her grandfather had, which she used to destroy Exdeath with the others. Krile has since been the ruler of the Kingdom of Bal, but still has not been crowned Queen due to her being "too unruly and irresponsible", even though she is not yet the Queen, Krile has shown strong leadership when coming to ruling the Kingdom. Krile and Lenna have become closer as friends in this time too, helping the Kingdoms grow and prosper together. Krile still has her bubbly traits, but with time she has also grown stronger, in both body and mind. Krile also still has her natural ability to talk to Moogles and befriend different animals and dragons. - Original Characters, plus some that were only NPCs! - Job System, with 8 new jobs! - Full MP3 OGG Soundtrack, composed by the amazing artist Arlen! NOTE: These are only tech demos releases and may contain many unknown bugs. If you find anymore, please let me know. Q. Why make a fangame? Why not be original? A. 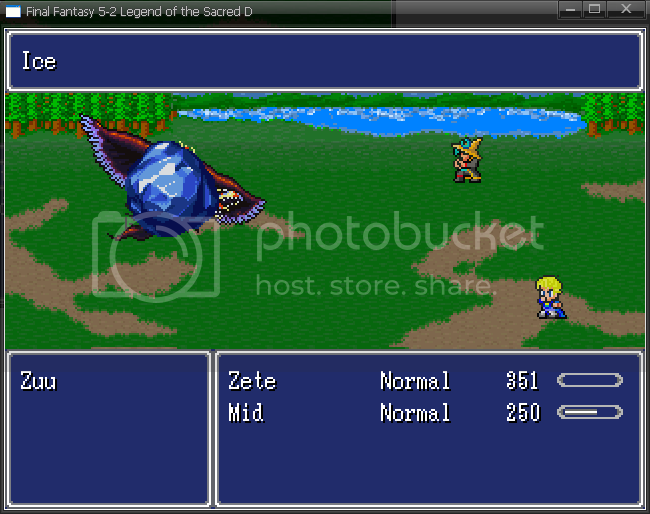 For one, I LOVED Final Fantasy V and I see this more of a tribute than a fangame. Secondly, I asked members of RMRK before going forward with this project and as you can see, they wanted me to go forward with it. Q. How would the Job System work? A. 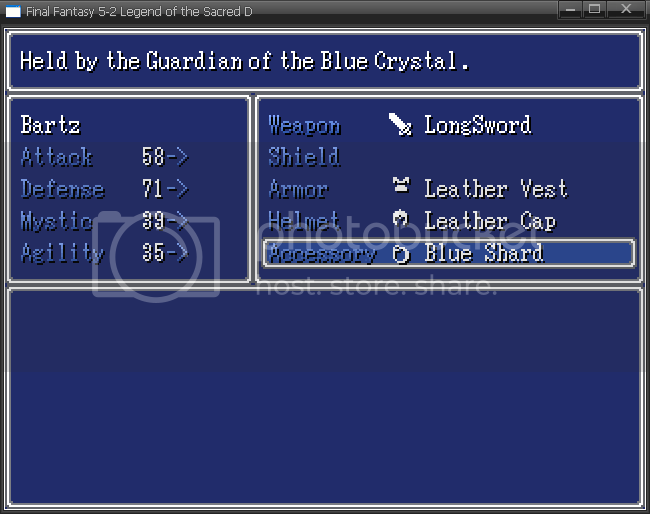 In RPG Maker 2003, no scripting can be used, so it is all done using events, variables and switches. Q. 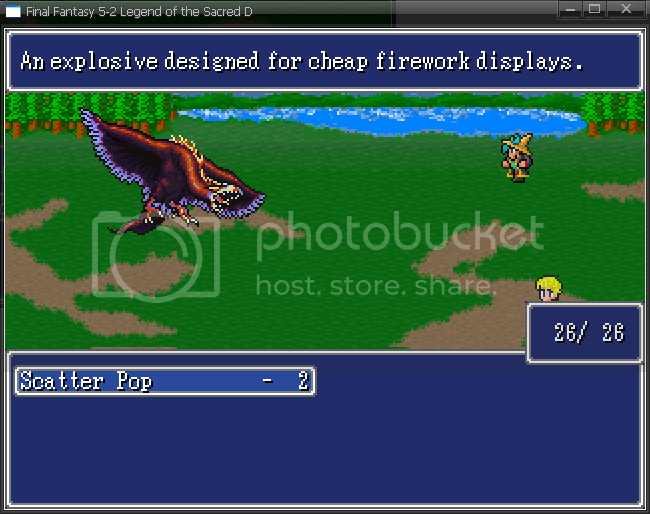 Why RPG Maker 2003? 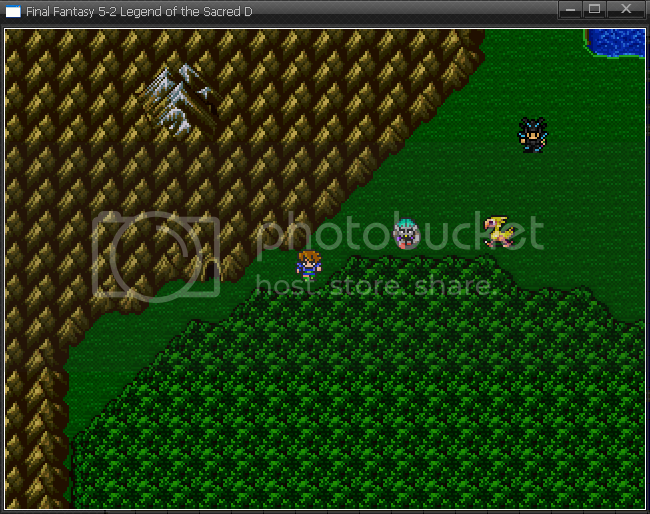 RPG Maker XP has way better graphics! A. EXACTLY. I chose RM2003 because of the graphics. 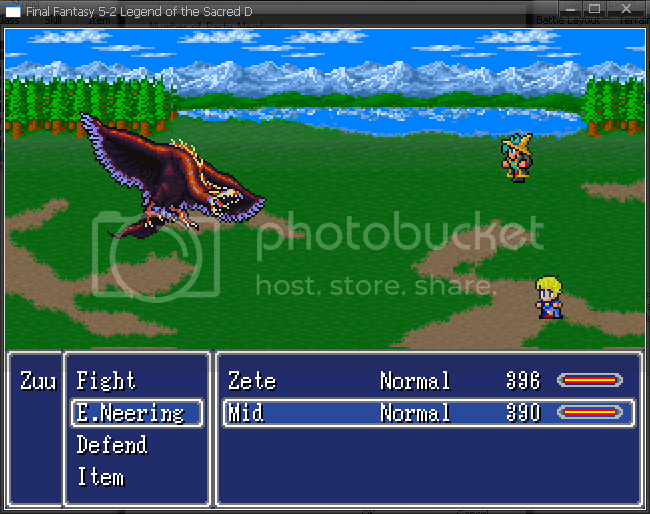 The graphics used in the orginal Final Fantasy V were very similar to RPG Maker 2003's. Q. What are the new Jobs? Why? Because plenty of people wanted Tezuka to make this. Personally, I can't wait to see how he pulls this off. I'm keeping an eye on this one. Awesome Tezuka, can't wait to see this finished. Thanks guys, I think I will be able to update this tommorow. 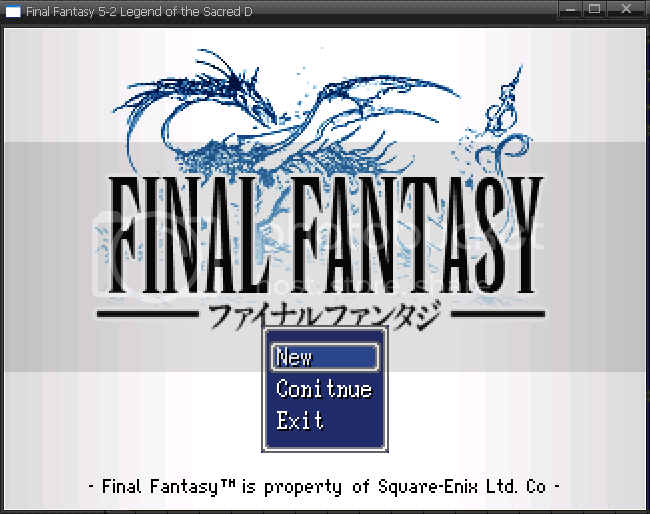 Zylos really told you why I am doing this, but the other reason is that I enjoy it and I LOVE Final Fantasy V. Hopefully I will be able to tie this and FFV together without messing up the plot. Added much more screenshots, I hope you like the look of the progress. Anybody willing to help with mapping, storyline or even spriting would be appreciated. I can probably help a little if you need anything. I assume this is RM2k3? Out of curiousity, what are the 8 new jobs? That is a surprise! When I am ready I'll add the new Joblist. But I can tell you that two of them are "Dark Knight" and "Paladin", that is all I am going to tell you. So what would you be able to help me with? I'm a horrid mapper (as you could tell by looking at my game), but I'm a writer by occupation and am decent at sprites. PM me what you would like and I'll see if I can help you. What I will be asking you to do will be what I will be doing also, spriting the characters, so it would not be a huge load. If you want i can try and make good maps for you every once in awhile or depending if i get a easy day from home and school, i can make alot hopefully. Thank you for all of your support, I will be needing help with this soon. Updated and organized project, enjoy the new video! Thanks for the positive comments, it is really motivating me to get this done, or at least bring out a demo soon! Added FAQ and updated Credits. This looks great, I hope all goes well. I'm not particularly skilled in any area so I may not be of much use. Bumping just to let you know that new screenshots and alpha demo release out soon. Sorry to keep you all waiting, but this is quite a large project! Take your time on this. I'll look forward to them demo! One of the best rpg maker xp games ever!Try it out! Sorry about the lack of updates, College Assignments has been eating up quite a lot of my time. I have added some people in the credits that are now helping me with this project. A full update will be done in a few days. Hey, don't rush him. He's very busy with college stuff or whatever he has to do.